“Bregret”—regret at having supported Brexit, the United Kingdom’s referendum to leave the European Union—was evident the day after the historic vote. Fifty-two per cent of UK voters opted out of the EU—and afterward some said they hadn’t understood what they were voting for. Others said they were sure the measure would fail, so they cast what they thought would be meaningless “protest” votes against “the experts” and the “political elite.”. Voters took to Twitter to voice their regrets. I personally voted leave believing these lies and I regret it more than anything, I feel genuinely robbed of my vote??? 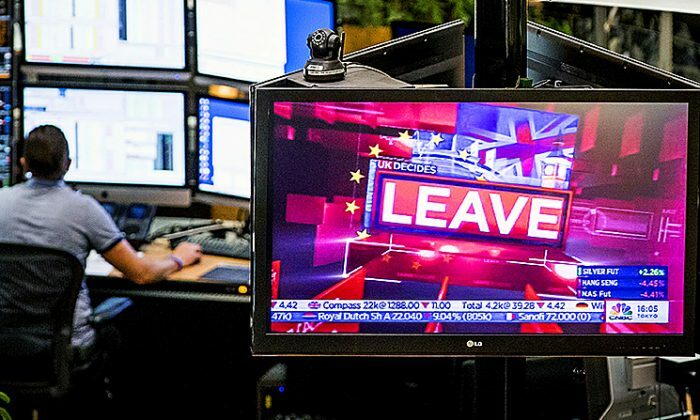 Polling from British Election Study showed that 10 per cent of those who voted to leave either wanted to switch their votes or weren’t sure about their votes, versus 2 per cent of the “Remain” voters. As time passed and Brexit negotiations began, however, most UK residents came to accept that the split was going to happen. Polling company YouGov found in May 2017 that about half of the people who voted to stay had accepted Brexit, with a total of 68 per cent of the voting population either in favor of or at least resigned to the UK’s departure. Six months later, that trend is reversing. YouGov’s latest poll shows that half of the “Remain” voters, seeing how negotiations are going, have switched back to full opposition. The poll asked first, whether the respondents thought Brexit should proceed. They were then asked, if they wanted it to proceed, and what terms the UK government should seek form the EU. Those who wanted it stopped were asked if they wanted a second referendum. Between June and September the proportion of “Remain” voters wanting the government to halt Brexit without a second referendum more than doubled from 14 per cent to 30 per cent. YouGov’s polling also shows those who regret their “Leave” vote is rising. A lot of this can be attributed to government confusion in handling the negotiations. The government is not that strong, and hasn’t effectively explained the result it expects or course it plans to chart to get there. In April 2017, the government scored a +1 vote for its handling of negotiations. Polls taken in early October returned a score of -43 on the same question. Despite all the doubt, despite the Bregret, polling shows that about the same proportion of UK voters, which voted for Brexit originally—52 percent—still want Brexit to go through.